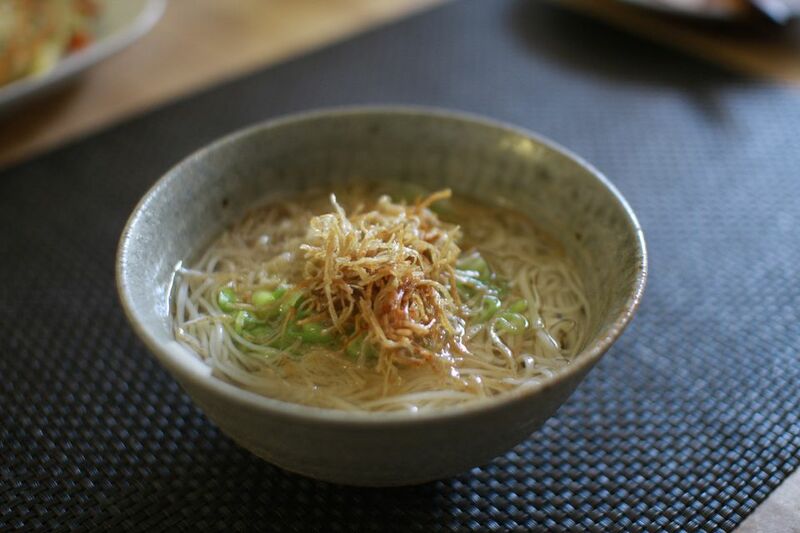 Learn how to make nyumen, a hot soup that is made with Japanese Somen noodles, vegetables, and meats. Somen noodles in hot soup is called nyumen. Somen are thin Japanese noodles made of wheat flour. Add various vegetables and meats in the soup. Boil somen noodles in a large pot, according to the package instructions. Drain and wash the noodles in water. Put dashi soup stock in a medium pot. Bring it to a boil. Add soy sauce, salt, and mirin. Put boiled somen in the soup and bring to a boil. Sprinkle chopped green onion on top.